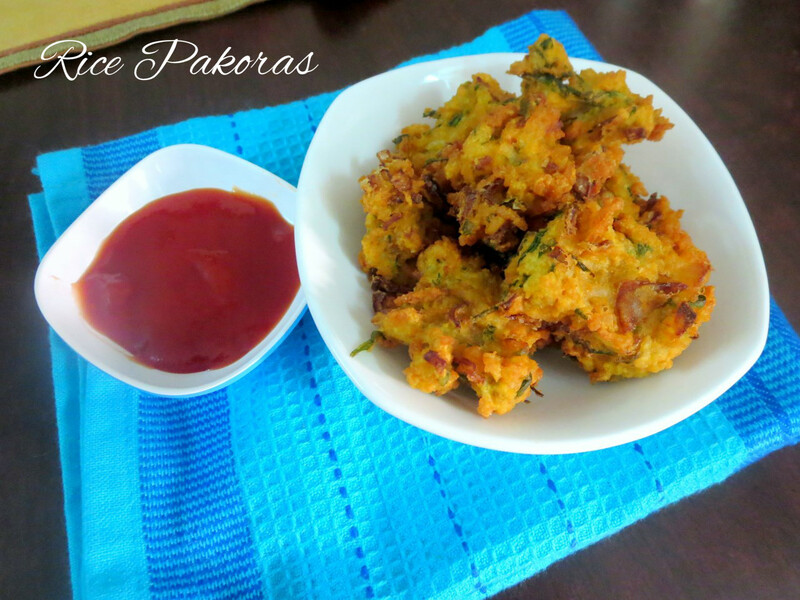 For the final day under Snacking for Kids, I have this delicious pakodas made with leftover cooked rice. I have already posted another version of leftover pakodas, this one is slightly different and was very much loved by Konda. So I thought I should as well record what she liked differently as well. These turn out very crispy hot from kadai, so ensure you take care not to burn your mouth. Cooking with leftover food is always a challenge. With cooked rice, we mostly make Ragi Sangati, some times Rice Parathas and then sometimes like these pakodas. In a bowl, take the rice, mash it well till it becomes thick mass. Take the onion julienne, salt, red chili powder, besan, coriander leaves and hing. Mix well, add the fried gram flour and add just enough water to get a thick batter. Let it sit for 10 mins. Heat a kadai with oil. When it’s hot, gently drop a piece of the mix, see it comes up. When the oil is hot, sprinkle the pakoda batter directly on the hot oil. The pakodas need not be of uniform shape or size. Cook onn medium flame on both sides. I too make these pakodas looks so crisp, can munch any time.. If i make this crispy pakodas, i cant stop munching myself.. Looks fabulous.. This is something I had made ages ago. These are yummy. I will try the parathas. I have some leftover rice and I will try them .Looks so scrumptious. These look so crispy and addictive. I was also wondering if they absorb a lot of oil. The rice pakoras look nice and crunchy, what a wonderful transformation of left over rice. I usually make some flavored rice with left over rice but this sounds like a better option! Most sinful way to use-up leftover rice. Totally delicious, all i need is a hot cup of coffee along with this!! Nice way to use up leftover rice. I will check out your other leftover rice recipes too. Perfect recipe to use left over rice. Using the rice should have made this pakora so crispy. Those pakodis look amazing. 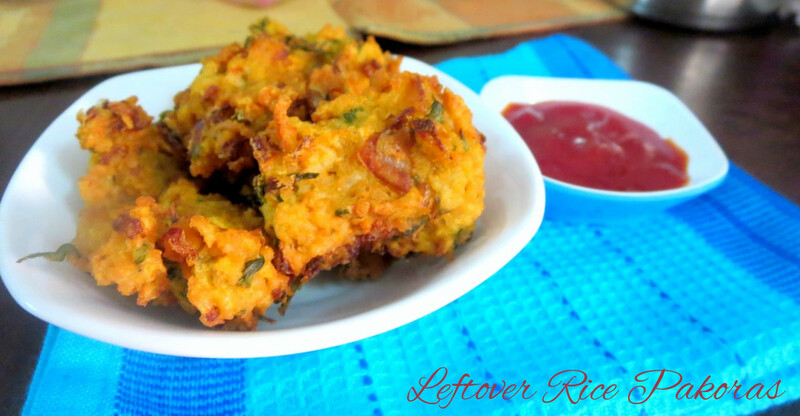 Using leftover rice to make these crispy pakodis is a great idea. That's a wonderful option for leftover rice…liked by kids and adults alike!